The world is seeing an unprecedented surge in the advancement of technology which can be very well visualized by the fact that stand-alone mobile devices and Desktop PC’s are almost obsolete. We live in a world that has been taken over by the likes of smartphones and tablets. As the tablet war gains momentum, top companies like Apple and Samsung, continue their race to produce smarter & faster tablets. When iPad 2 was released, the A5 chip that it carried was then the most powerful SoC (System on Chips) with a dual core ARM Cortex-A9 processor, a dual core GPU and 512 MB of DDR2 Ram. Apparently, the GPU was as much as seven times faster than the GPU and the CPU was twice as fast as that was present in the earlier iPad. It was only after Asus’s Transformer Prime’s Tegra 3, an android based SoC by Nvidia, did Apple’s A5 lose its top slot. With a quad core 1.4 GHz CPU and a GPU with 24 cores, the crown was undeniably destined to the Nvidia Tegra 3. Recently Apple announced that its new SoC, A5x would be a part of Apple's third generation tablet iPad and also claimed it to be much faster and powerful than Tegra 3. The idea of iPad3's A5x, sporting a dual core 1 GHz CPU and a quad-core GPU, outrunning the Tegra 3 that carried flaunts much heavier configuration did seem pretty absurd to most people in tech community. 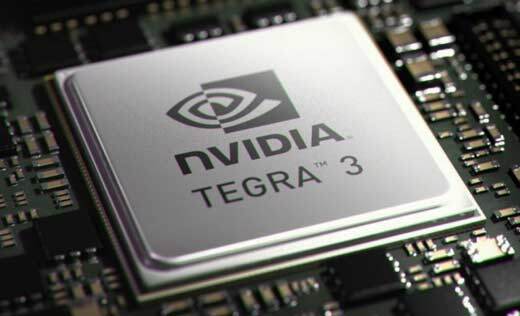 To check, IGN carried out several benchmark tests on Tegra 3, A5 and A5x. GeekBench test, GLBenchmark Egypt test, and GLBenchmark Pro for graphics test were carried on the three SoCs including a test on A5x without Apple's powerful retina display, to check its actual “off-screen” capacity. To everyone’s surprise it was iPad 2’s A5 that outperformed both A5x and the Tegra 3. Although with the GeekBench scores 1540 and 750, Tegra 3 went past the A5 and A5x easily, it was GL Benchmark tests that showed the A5’s superiority over both A5x and Tegra 3. As for the GLBenchmark 2.1 Egypt test, iPad again proved to be by far the better out of the two with a score of 59 FPS at a screen resolution of 1024X768 where as iPad 3’s A5x had a frame rate of 53 fps and ran a total of 5974 frame at a screen resolution of 2048×1536. Galaxy Tab’s Tegra 3, on the other hand, produced 5955 frames at 52 fps, inching behind A5x just be a small margin.The off screen tests showed that A5x was capable of producing over 15,000 frames at a rate of 138 fps where as the the older A5 produced just 10,000 frames at 90 fps. Tegra 3 too lagged behind the A5x when the retina display was not powered to it. Overall the iPad 2's A5 wins hands down over the iPad 3's A5x and Asus Transformer Prime's Tegra 3. Ironically, most people did not even consider A5 to be even a competition to the mighty Tegra 3 at the first thought.